Belsebuub is an author and practitioner of the indigenous Indo-European religion of his ancient ancestors, which is a branch of the ancient Religion of the Sun, and is the founder of the revival of the ancient Religion of the Sun in modern times. He has written several books on aspects of the Religion of the Sun, including the celebration of the solstices and equinoxes, self-discovery, and out-of-body experiences. He has dedicated himself to spiritual practice for nearly 30 years, and has incarnated his own spiritual sun/son – writing without profit from his personal experience of how others can do the same. He no longer teaches. This website remains as a resource of his work. The ancient religion of the sun was taken around the world following the great flood that ended the last ice age around 9,600BC by the legendary sages and civilizers recorded in world mythology. It was part of a divine mission to bring spiritual knowledge to indigenous peoples all over the world, which is why many ancient traditions contain remarkable similarities. It gave rise to the building of hundreds of sacred megalithic sites across the globe that are aligned to the solstice and equinox – and even to each other. Its principles are imbued in the movements of the sun and stars, and in the natural world, and it’s the origin of many ancient wisdom traditions, some of which are still practiced today. Since 2011 Belsebuub has used his own spiritual experience to piece together the practice of the Religion of the Sun, and his work is being used to revive it in the modern day. and is where she shares her research into the Religion of the Sun. Belsebuub writes extensively about the ancient religion of the sun – its history, the meaning of its symbols, ancient sites, sacred texts, and celebrations – using hundreds of images and excerpts from ancient texts. She writes about the ancient Religion of the Sun having been one of the most powerful influencers on human history, which gave rise to many of the world’s most famous ancient sites and some of its most revered wisdom traditions. This book is for anyone wishing to learn about the history of the ancient Religion of the Sun. Self-discovery is one of the most important and central aspects of the ancient Religion of the Sun, and it’s profound philosophy is found in its most sacred texts. Belsebuub has been teaching this ancient and timeless form of self-knowledge since 1990, and has worked to explain it clearly in modern terms using his own extensive experience of it. In 2001 he created a free course in self-discovery that was taken by tens of thousands of people and was the most popular course of its kind at the time. 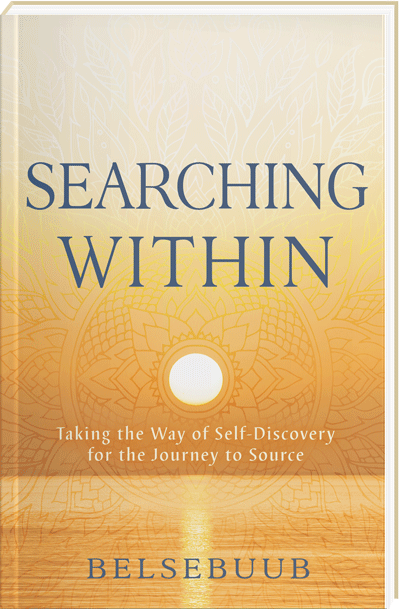 The material of this course has been adapted and released as his book in self-discovery, the current edition of which is titled Searching Within. Belsebuub’s book, course, talks, articles, and videos on self-discovery can be found here.